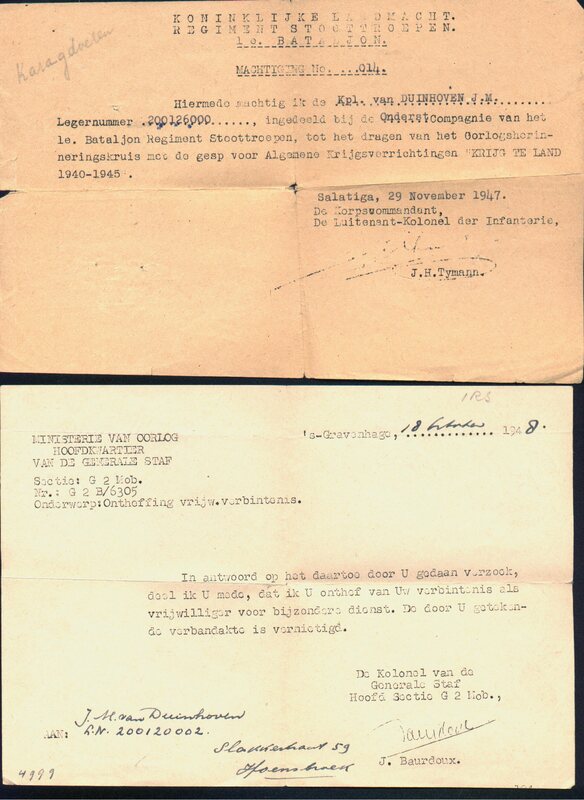 My dad also brought to Canada with him some of his papers, WWII military documents, tucked in with his photographs, which I have been able to get translated. 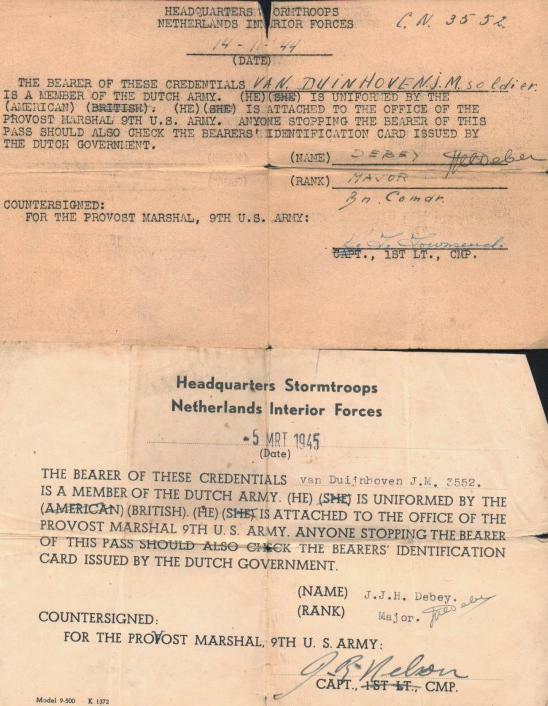 There were two well worn documents in English provided by the 9th US Army Provost Marshall, of course for me these needed no translations. What you see are scanned copies of the actual documents, with translations where necessary. In reply to your request I hereby let it be known that you are hereby released from your duties as Volunteer Special Services. The contract as it has been signed by you, has been burned. 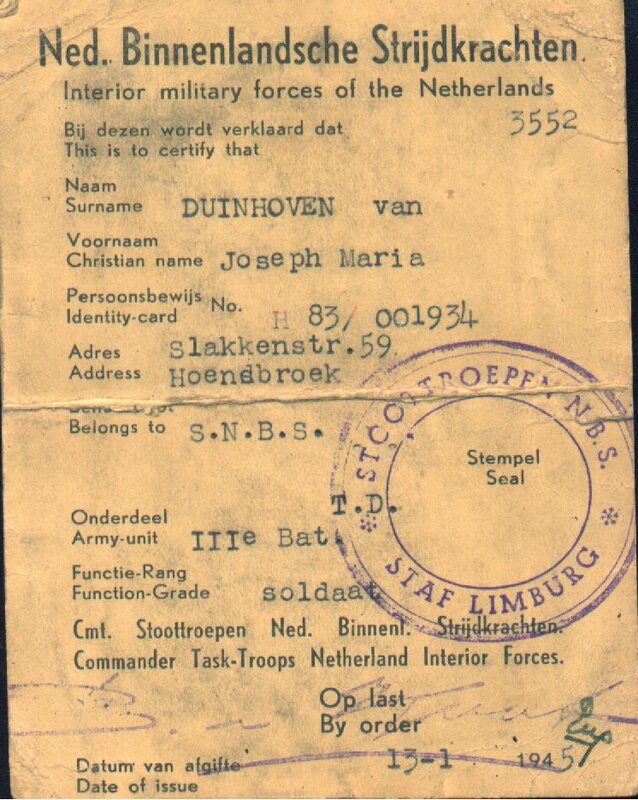 What caught my attention with this document is that they have my dad's first name spelled Joseph, when it is Josef. --- My son has this same problem since his name is Josef, after my dad.